Hadron Collider: step inside the world’s greatest experiment, the renowned Large Hadron Collider (LHC) exhibition from the Science Museum, London is coming to Brisbane from December 2016 and celebrates the world’s largest and most powerful particle accelerator. Queensland Museum will host the award-winning exhibition that recreates the largest scientific experiment ever constructed from 9 December 2016 – 25 April 2017. QGC is proudly supporting the exhibition as presenting partner and through Future Makers, is offering plenty of ways for students, teachers and families to involve themselves with the exhibit. Head to our Teacher Resources page to discover more ways you can experience this renowned exhibit. Future Makers ran a competition that invited school-aged students to share their knowledge and understanding of the Hadron Collider in a short video to win a Future Makers prize pack. With a total prize valued at nearly $1,250 this was one competition not to be missed! Students were invited to create a short video that explains in simple terms exactly what the Large Hadron Collider (LHC) is and what it does. Entrants limited their videos to one minute and uploaded their videos as per the competition guidelines. Canterbury College student, Hunter took out the prize with his winning entry and enjoyed a weekend with his family at the World Science Festival Brisbane 2017. Click here to see Hunter’s winning entry. The Future Makers prize pack included a family pass to the Hadron Collider exhibition and Queensland Museum and Sciencentre, a Hadron Collider merchandise pack, $200 worth of vouchers for the Queensland Museum cafe and gift shop, one night’s accommodation in Brisbane and assistance with travel costs! Future Makers wants the winner and their family to experience the wonder of STEM so in addition to the above, you’ll also receive a family pass to a World Science Festival Brisbane event! The winner must be available to travel to Brisbane over the period of the World Science Festival Brisbane between 22 and 26 March 2017. Click here for a full list of entry guidelines, including how to upload your video along with terms and conditions of entry. 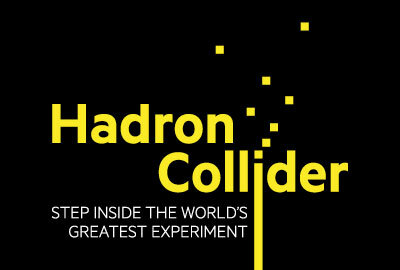 Hadron Collider: step inside the world’s greatest experiment is supported by a number of additional programming events.